I love owls, but they are very difficult to find. 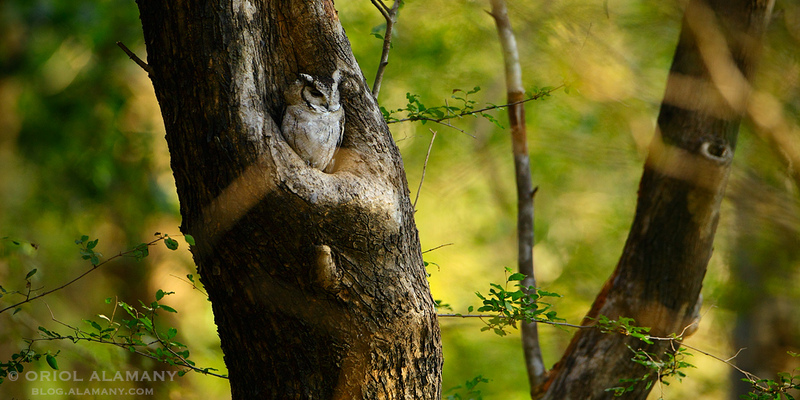 This small Indian Scops-owl or Collared Scops Owl (Otus bakkamoena) was difficult to see inside the dark jungle of Ranthambhore National Park, where we were looking for a much bigger animal, the tiger. Beautiful light and interesting composition. I like the warm light very much. Missing it right now.